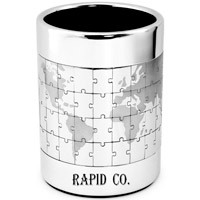 An elegant desk pen holder cup that contains a unique magnetic map of the world. 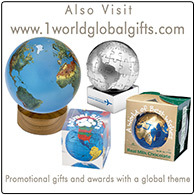 This fun and interactive promotional gift item features a world map puzzle comprised of 48 individual magnetized stainless steel pieces. All stainless steel construction ensures durability and a rubberized non-slip bottom keeps it in place on your desk. 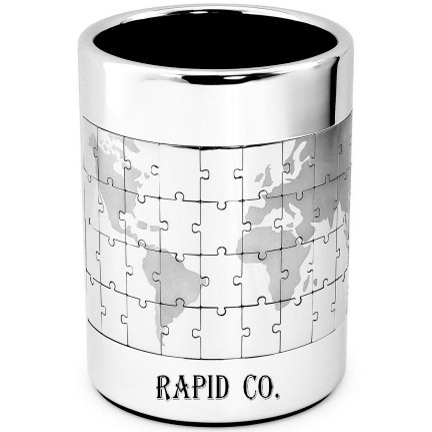 The magnetic world map pen and pencil holder puzzle is an excellent promotional item for global businesses, colleges, or travel related industries. 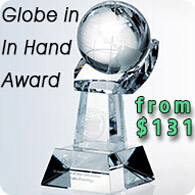 Customize the pen holder with your logo and message to leave a lasting impression on the recipient. Packaged in an elegant shiny black gift box. Imprinting is available above and below the map. 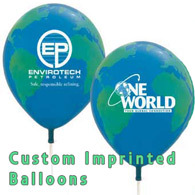 Please add this item to the basket if the product is being customized with your logo or text.